Tony Lawrence's Coins & Stuff: Whizzed, damaged or low grade? What's your tolerance? Whizzed, damaged or low grade? What's your tolerance? There are some coins I'd love to own, but unless I hit the lottery those particular pieces will always be beyond my reach. Kellog & Company $50 gold, 1793 Chain Cent and a few others are just too expensive for my budget. There are other coins that are just within my reach but only if they are problematical: very low grade, badly cleaned, damaged or otherwise troubled. 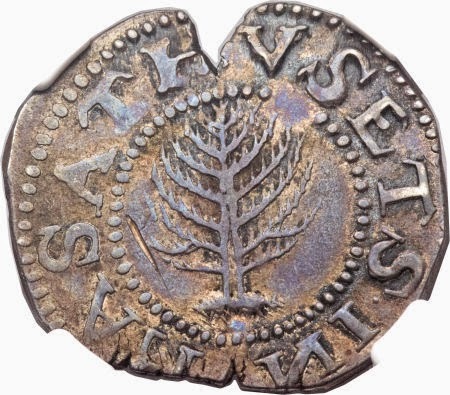 One example of that is Massachusetts 1652 silver coins. I'd love to own an Oak or Pine tree piece - any one of them. But some of the choices are just too deficient for my taste. 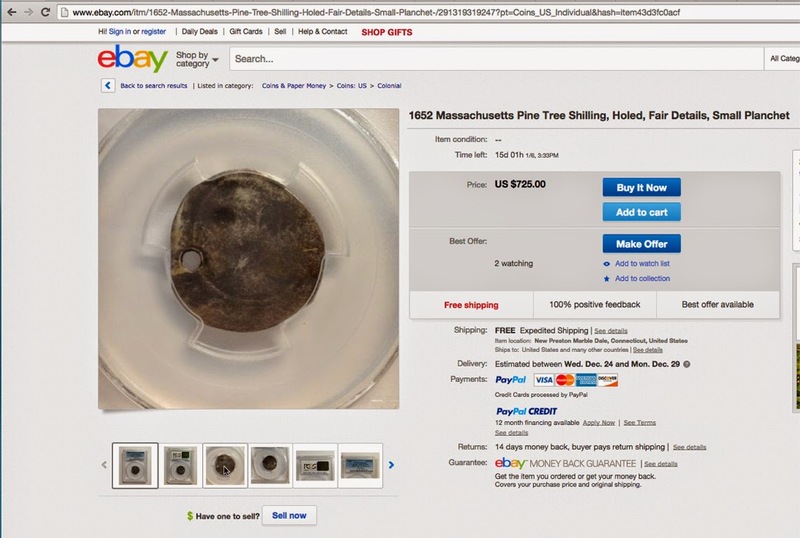 Look at this recently listed Pine Tree Shilling on eBay. It's offered at $725 and it's barely a coin. It's just about completely worn away and it's holed too! I don't want that at any price. "An edge split is noted at 12 o'clock, and a ragged mint clip at 6 o'clock affects a few peripheral letters. A thin mark is west of the lower left tree branches." I could live with that, though I expect it will sell out of my range even with those defects. I noticed this at Facebook: someone agreed that they'd take two 1921 Peace Dollars in exchange for some work they did. The problem is that the coins are whizzed. Because of their rarity, he may still have got a good deal, but I wouldn't want them. What's your tolerance when it comes to coins out of your comfort zone? Why was there a Type II Standing Liberty Quarter?